I would like to say a few words about the Italian language courses, which have started one week ago. 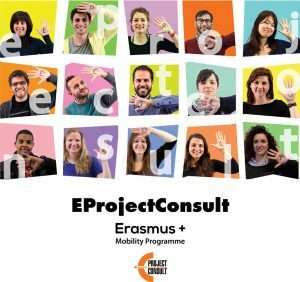 Those courses are in the context of the German project EuproInternIII (LdV Mobility) which is taking place in Barcellona Pozzo di Gotto, Sicily. The implementation of them is made from the office of EprojectConsult. Firstly, remarkable is that the teacher, Daniela Manuli, has great experience in working with foreign students, as well she speaks the German language, so this fact makes the courses easier and more understandable. The courses are divided in two groups, one for those interns who are in the elementary level and the second for those which are in the intermediate level. Thus, there are two different books which are provided, according to the level of each student. The hole duration of the lessons for each group will be 48 hours, in an intensively program which consists from 4-hour daily lessons. The structure of the courses is composed from an ideal way for acquiring necessary skills, including reading, listening, speaking and writing. In that way, it is calculated that within one month the students in the elementary level will be able to understand as well to speak the Italian language. As far for those in the intermediate level, their skills will be developed in order to catch the desirable level. Learning of the Italian language will increase the value of the hole traineeship program of participants, as they will receive certification for the learning outcomes. It is such a nice way to combine professional training (internship) with learning foreign languages. Participants are enjoying a program with multiple benefits.